*These are only estimates, the I.R.S. has refused to give exact dates to new audit process. There are no guarantees with the I.R.S this year, but one thing is for sure: The earlier you file, the earlier you will receive a return. Check the status of your 2014 Tax Return on the I.R.S.’s Where’s My Refund tool. Discuss this on the Income Tax Forums. 2014 IRS income Tax Refund Schedule. IRS Income Tax 2014 news. The purpose is not to put up false hope. It's to give people an idea of when they will receive their income tax refund. In the past, the schedule has always been very accurate. Correct. It even says in the post that it is just a calculation based on prior year results. We strive to make the refund schedule as accurate as possible. Michael, thank you. We try to do as best as we can to estimate someone’s return date. She is correct. This is not an I.R.S. approved chart. We do however try our best to present accurate information to our clients and website viewers. We are keeping track of when returns are accepted and when the direct deposit or check go through. We will continue to update this based on the I.R.S. trends. The people that put this together are financial analysts so it’s a lot more than guess work. I am sorry if in the past our schedules weren’t entire accurate for Janique though. We strive to be as accurate as possible, but the truth is, many variables affect when you will receive your refund. This chart is designed to help with planning, but I hope that everyone understands that they should never rely on the U.S. government to do anything on time. Janique, why are you even viewing the chart if all you are doing is bashing it??? Janique what makes you think it not right that been right the last few year it matches the ones on other sites. If yours is being delayed that not the site’s fault the first date is the 5th, so are you not jumping the gun a little. Give them a break i think if nice to have a place to go to atleast get a idea of when it might, so up i know if it not there that deate it be there the next friday saturday unless there is a issue with the return. When it states that the IRS accepts your taxes by 11am, what time zone are they going by? Probably E.S.T time zone. I'm just glad to have an idea when it's coming back instead of guessing all the time. Does this take into consideration that they are already behind?? They were also behind last year. The first week or two of filing is always different, but we find that it usually falls into these days no matter the circumstances. This might explain why they started accepting returns on January 24th, 2014, so that they would be in line for a few week of February pay out date still. I don't know if this chart is accurate or not, but the charts I've seen in the past have been close if not right on target – so fingers crossed! I can't wait to get my refund and I hope it's on the 5th of February!! When the chart says "Accepts" your taxes does that mean they acknowledge they received it or approve it? Please clarify. Thank you!!! It means approved. My taxes were received Jan 24th, but not approved until today. They receive it, then they accept/approve it. The acceptance date is what typically decides when your refund will be released. This is based on past years. My taxes were just accepted and the irs stated my funds should be released within the next 21 days. It is usually closer to 12-17 days in the past for me which goes right along with this chart. Marie, you hit the nail on the head. The dark background makes this very difficult for old women (me) to see. The link above about the IRS accepting refunds early, has a statement that they will be accepting returns next week under "very strict rules" but I see nothing about what these strict rules are, anyone know? I filed on the 27th….got accepted on the 29th….checked WMR today and it said refund will be deposited in my account on the 6th. Filed on Jan 28th, accepted on 29th with email from H&R block "Your federal return has received early acceptance during the e-file certification testing conducted by the IRS. This testing is conducted before official return processing begins on Jan. 31.This means that your return should be one of the first to be funded by the IRS once processing begins." I filed on the 29th goth accepted on the 30 and mines still says processing!!!! WTF WHY HAVENT MINES GOTTEN APPROVED? comments please. Mikahyalah, The best guess right now is that your’s in queue for the next payout date, February 12th 2014. If I got a email saying my return was accepted on Feb 2nd . Do I go by that date or will It say approved and I go by date approved. when shall I expect mine I efiled and am having it direct deposited. Always go by the date approved not accepted. Are those who have gotten accepted before Jan 31st and havent received a DDD also filing as a sole proprietor? I filed Jan 6th and got accepted Jan 29th and stil no DDD. Anyone else? I got accepted on the 30th also and still haven't been approved. I filed on the 30th as well and still haven't gotten approved either!! Hopefully tomorrow it will be approved!! I filed on the 28th and been Approved and will be getting my refund in the next few days.!!! It took them 4 days to approve mine. Then another 4 to 5 days to approve the refund amount. Mine was accepted on 27th and i still have no deposit date or approval. You go by the date the IRS approved the refund. Mine was accepted on the 29th, but approved on the 2nd, so I barely squeezed in there. Mine was accepted on January 29th. Still processing. Not approved nor is there any DD information. Accepted on the 29th of January, still processing, no refund date. Looks like this schedule is not correct. to make matters worse, my state taxes which were accepted 3 days after my IRS taxes, have already been processed and the refund has been mailed. Uggh. Filed on 1/23. Accepted on 1/28. Still stuck on "received". MFJ return with dependents. What is the hold up? Mine was accepted on the 27th and I have a DDD of February 6. You go by the approval date. I would say you would probably be in the 2nd batch of returns. So maybe the February 13 date for you to receive it. What state are you in? I'm in Georgia experiencing the same thing. IRS didn't even start processing returns until 1/31 so those that filed before that just went into a holding pattern. While the IRS is no longer releasing a refund schedule chart, I appreciate that this was put together based on prior years to at least have an idea of when we can expect refunds, even if just an estimate. Thank you to those that put this site together! You’re welcome Sandy. We appreciate everyone who visits the site and shares it with their friends. We are going to continue and try to make the site better for everyone and be as accurate as possible. According to the Where's My Refund site of irs.gov, Mine was received on the 27th and now it reads approved and stated that I should get mine "by the 6th"
As anyone who was accepted on the 30th been approved and received a DDD yet? Mine still says it's processing and I can't figure out why it's taking so long. It didn't take nearly this long lay year. Actually I already had it by this time last year. So is there a certain time the IRS will make deposits today? They will most likely submit the deposits when the bank’s open in California, but remember that most banks put a hold on large sums of money for a day to verify their source. so did you receive it like they stated? I just checked the website and it isn't down. Are u sure? Due to government shutdown, the IRS did not accept any returns until January 31st. That's "physically accepted" returns, not accepted/approved returns. Filed mine return through H&R blocks website on 1/28. It was accepted by the IRS on 1/29 at 2:15 pm. On 2/1, the "where's my refund tool" showed that the refund was being processed. On 2/3 it showed that it would be "SENT' to my bank on 2/6. Now at first I thought this meant that I would receive it in my account on 2/6. But after checking it this morning I realized that the status bar is showing that the IRS has not SENT my return yet, and that it is due to be SENT to my bank on 2/6. SO at this point I am not expecting it to be in my bank account until 2/7. I do know that the IRS accepted some returns prior to the 1/31 date. But it was only for returns that WERE NOT claiming the EIC credits. I was told that if you claimed the EIC credit that your return MAY take longer to process, as those returns are looked at more closely to prevent fraud. I hope this helps. Filed on the 31st. Got accepted on the 1st. Still hasnt been approved. Starting to wonder why. Mine was accepted on 1/29 and still says processing. Mine was accepted on the 25th and says return approved but still processing? So confused. What are these dates from? Im curious to see of anyone gets there refund? I was accepted om 1-27 and its still not approved…. the accepted returns but was not approving refunds till the 31st. its stated on their site. Mine was received on the 30, by the irs. I had the eic credit.as I was reading this blog, I received a email from my bank card that the irs just posted my money. The chart seems right on .Hell yeah ! i got accepted on the 29th of jan and i dont have a direct deposit date either…. See the following article from the IRS's website; fourth paragraph. Melinda, I was under the same assumption as you. 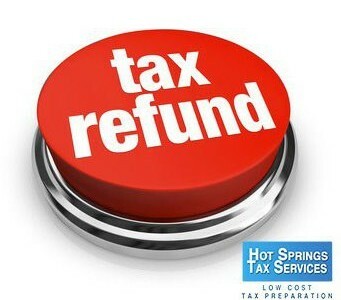 I do promise you however that I personally had 20+ clients have their refunds accepted before the 31st. The IRS doesn’t always disclose things like this to the general public though. Casey mine was accepted on the 30th too…I just got a deposit date of 2/10…. Federal was processed and approved, with a DD date of 2/6. I see some people have received their deposit today, or even yesterday. Anyone else with a DDD of 2/6 still not seeing the actual deposit in their bank? Nothing new for me. I am not happy. It didnt take this long last year. UGH!! Requested and viewed online 2013 transcript, and read my approved deposit date is actually 2/24, even though WMR app says DDD is supposed to be 2/6. Does anyone else's transcript DD date conflict with their WMR DD date? I did mine on January 26 and I was accepted on January 27 !!!! Still waiting on when I will receive it can't wait !!!!!!! Accepted Jan 24th and 1/31 was given 2/6 to be DD to my account and IRS tracking still ISNT highlighted "refund sent" and its February 6th! What time of day is website updated & does anyone know if IRS will be sending to banks throughout the day or are fund sent only at a certain time of day? Oh you have to wait until next year. I filed and got accepted on February 1st – it just got approved today, February 6th, and it says my direct deposit is coming February 10th! That is off from the chart – just thought I'd share! I should edit my below comment. I filed on February 1st – they marked they received it same day and it just today, February 6th, got approved with a refund day of February 10th. Mine says it will be mailed before February 12th. I filed on the 24th of January & received notice that my tax return was accepted early by the irs on the 28th. According to this site I should have had my federal refund by the 5th. Today is the 6th & no notice of a refund and no direct deposit yet from the irs. The tax site I used to efile shows an expected date of february 20th for the deposit. Mine says the 10th also ? Am waiting on my approve….. Still not approved ;( accepted the 26th of February hopefully it will be in the next batch. My return was accepted on 1/30/2014, but has not moved to being approved? Only in first section? I thought I would have moved to the first round of direct deposit, which would have been yesterday, but nothing. Should I be concerned?